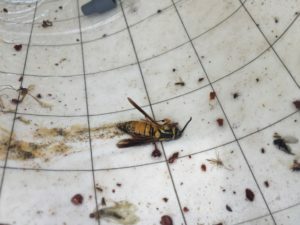 There were small spikes in spotted wing drosophila trap captures at Pender 1 and New Hanover 1. 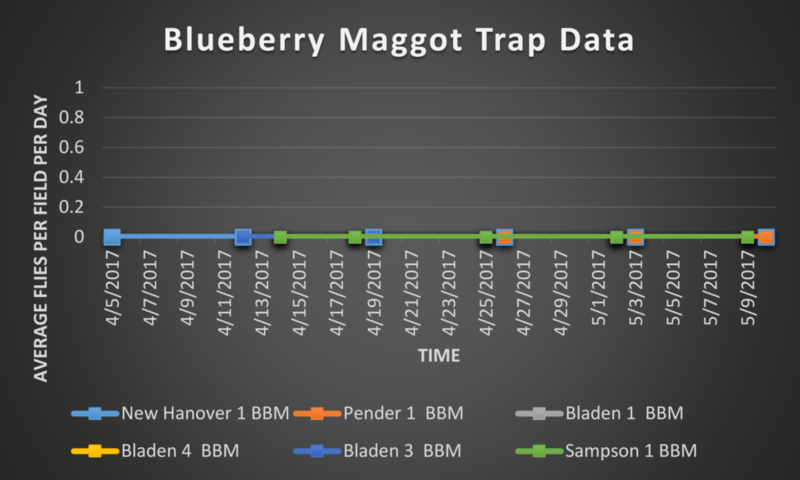 New Hanover 1 is located at the Ideal Track blueberry research farm of the Horticultural Crops Research Station in Castle Hayne, and most traps are located in plots that are not treated with insecticide. Local vegetation and food resources also differs between sites all our sure. 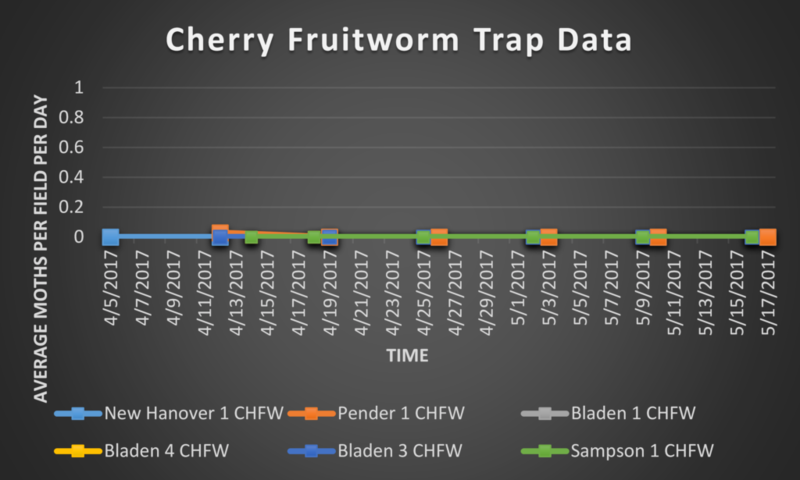 New cranberry fruitworm and cherry fruitworm lures were put out at all locations last week. 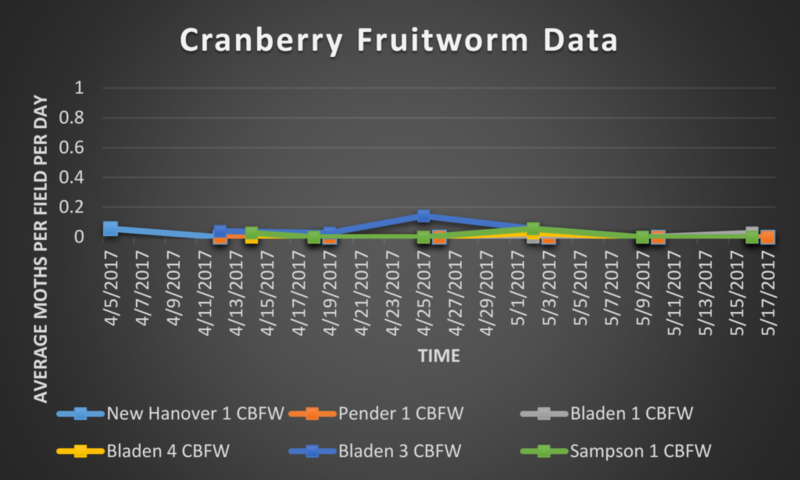 With only one cranberry fruitworm moth and no cherry fruitworm moths being captured between then and now, it seems that flights of these moths are coming to an end. 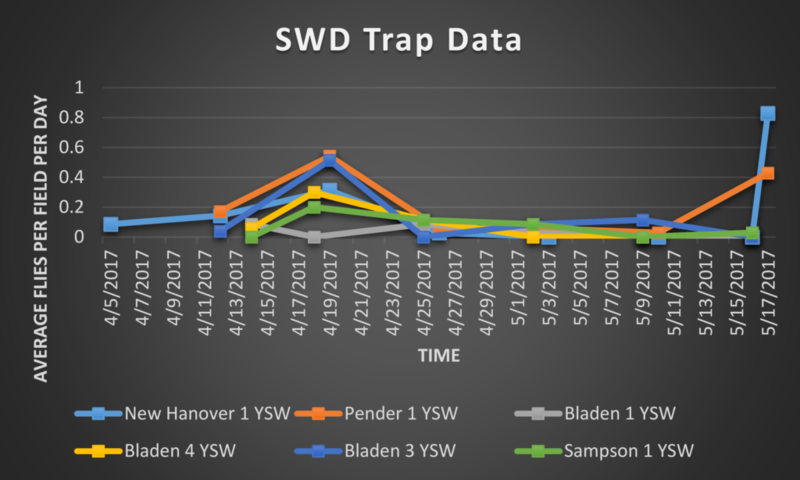 During this trapping period, 29 SWD were captured at New Hanover 1, 15 SWD were captured at Pender 1, 0 SWD were captured at Bladen 3, 0 SWD were captured at Bladen 1, 1 SWD was captured at Bladen 4, and 1 SWD was captured at Sampson 1.